The growth of tools for self-expression is creating a big shift in how brands are built and how companies interact. Tweets, Facebook Likes and Pinterest shares are creating a fire hose of data that is helping companies to not just sell their products and services, but to develop their product lines, select strategic partners and find the best job candidates. This fire hose of data, if collected and analyzed properly, can be a treasure trove of marketing intelligence. To quote Matt Meents (@meents). Managing Partner of Magnet 360, “Big Data is becoming cliché.” As Jeff Dachis (@jeffdachis) CEO of Dachis Group puts it, “You don’t ‘do’ big data. You use data to derive insights. It doesn’t matter if it’s big data or little data, it has to be the right data and accurate data. Jeff and Matt were co-presenters at the recent MIMA breakfast in Minneapolis, MN. Their exploration into the use of data in scaling social media provided valuable insights and opportunities. The challenge created by social media is that the data it provides consists of unstructured conversations. Aggregating that unstructured data with structured data and trying to draw meaningful insights within the confines of corporate silos is proving to be a political problem. How do you get disparate data and marketing teams to collaborate and not feel that their turf is being stepped on? 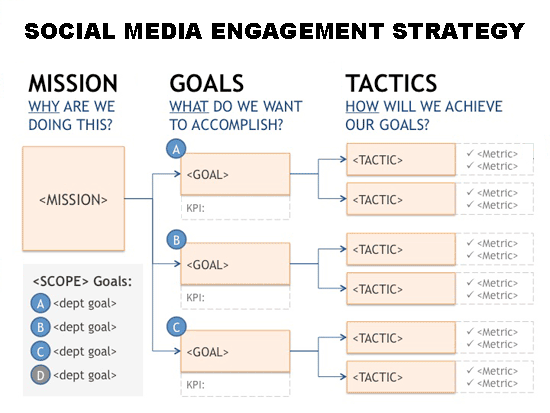 Step number one is to identify your business objectives with the use of social media. It is those objectives that will define the data sets required. The data sets required will identify the tools you need, including data visualization tools. Without a strategy and the proper tools, chances are high that the data will not amount to much more than noise, which will make it difficult to glean actionable insights. Social content – What content is getting shared the most and what topics should we be writing about? Social customer care – Where and how are we offering the best customer support and what issues are being identified? Value of earned media – How have our social media efforts offered value to the business? Optimization of paid and earned media – How can we improve the ROI on both our corporate social efforts as well as the social amplification of our followers? Value of earned media via amplification – What is the value of the shares, likes, follows, etc? Real-time marketing – How can we take advantage of current trends, news, etc? Matt and Jeff are suggesting that the key to leveraging social media and social data is to start small. By analyzing smaller data sets of the bigger sets, it will be easier to identify the insights that might be garnered within individual silos. Once those insights are shared with other silos, it becomes easier to build a collaborative team approach to analyzing bigger sets of data that can identify larger insights and therefore bigger results. Engaging effectively in social media marketing is not as simple as enabling a Twitter or Facebook account. Without the development of an engagement strategy that identifies specific goals, tactics and key performance indicators (KPIs), there will be no measurement strategy and therefore no data with which to identify if your efforts are successful or not. Budget – How much do we want to invest in social media? Content – What are we going to publish? i.e. articles, videos, podcast, infographics, etc. Governance – Who are the stakeholders? Policies and procedures – How are we going to engage, what is allowed, what is not allowed, what tools are we using, etc? Channel identification – Where do we want to engage? Management – Who has ownership, who on the team is going to participate? Training – Who needs to be trained and on what? Analysis – What data do we want to collect, what tools do we need, what are our KPIs? As defined by Matt, social media isn’t an advertising channel. Social media represents a shift from brands as mass communicators to a mass of communicators who speak about brands. As such, treating social media like another channel with a team of brand evangelists or a community manager is not an effective strategy for driving meaningful engagements. Matt suggests a strategy that identifies consumer advocates to engage with their peers; have them tell two friends who tell two friends, etc. This approach requires companies to identify their power advocates, mobilize them and activate them. This creates a scalable social media model. Which brings us to the subject of social monitoring. While monitoring will identify the power advocates, the bigger picture and ultimate goal is both measuring and controlling the performance of your social media. By collecting and analyzing data that is in alignment with your social media goals, companies will be in the position of not just monitoring what is being said, but driving the social conversations. Follow the discussion on my social networks on LinkedIn, Google+ and Twitter.